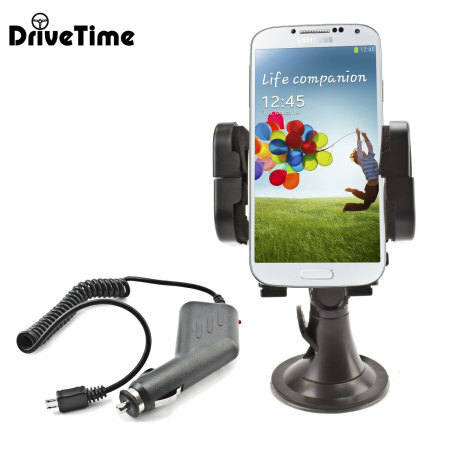 The DriveTime car holder lets you store your Galaxy S4 in your car in a number of different ways. 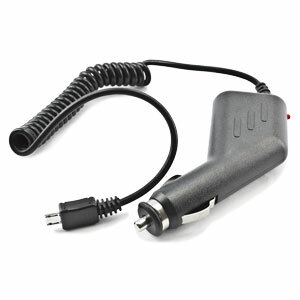 The holder is designed so that it can be adjusted to suit you in the car. There are 3 main joints which allow you to adjust the phone into a position most comfortable for you. The DriveTime car holder features a ball joint which allows you to position your S4 in optimal positions for both portrait and horizontal orientations, so you can view it safely and legally in the optimal position when driving. 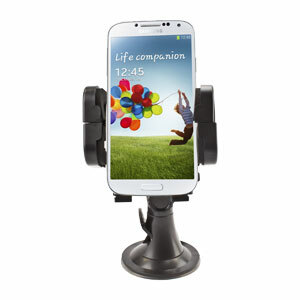 Manufactured from a tough and durable thermoplastic, the DriveTime car holder provides a stiff and stable support for your phone so that it is held securely during motion. The hinges and ball joint not only adjust to any preferred position, but stays there because of the quality construction. This means that your phone will not move or rock when driving over uneven surfaces. Included with the DriveTime Car Holder is a Micro USB car charger which will keep your S4 fully charged which is especially useful when you are using it as a Sat Nav or when streaming music to your car stereo system. Please note: The component parts of this DriveTime pack may differ slightly to the images used to illustrate the pack on this page, however, replacements will be of equal or greater quality if an adjustment is made.